If an afternoon spent lounging on the beach is part of your long weekend plan, you’ll need to make sure you bring along all the snacking staples. That includes sodas, hot dogs, burgers—and thanks to this over-the-top cooler with a dedicated freezer section—even microwave pizzas, ice cream, and frozen turkeys? 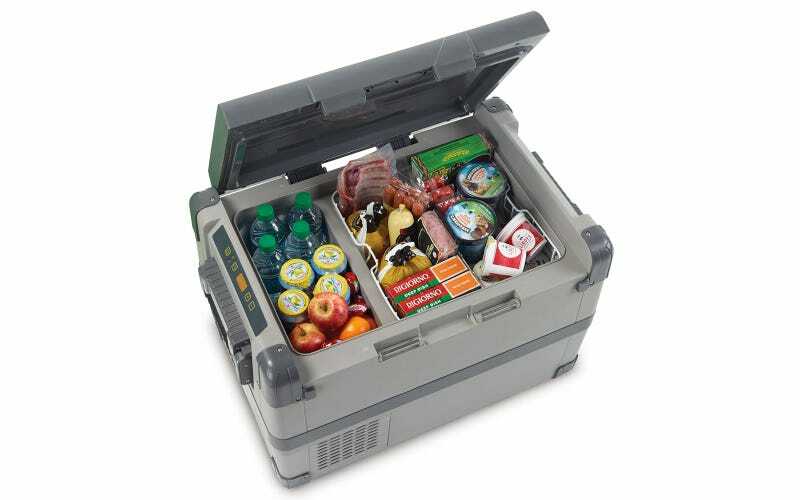 To keep all your frozen goods completely frozen, you’ll need to keep this 53-quart cooler plugged in to your vehicle and powered so that it can perfectly regulate temperatures ranging from -7 to 53 degrees Fahrenheit. Without power, it relies on two-inches of thermal insulation foam to keep everything chilled for up to four hours. But if you’re willing to drag along a massive battery, or a giant solar panel, you can extend that further. Just keep in mind that dragging a $650 cooler full of frozen pizzas and turkeys to the beach might cause some logistical issues when it comes to cooking or heating your planned 12-course meal. So to be safe you might want to bring along a portable microwave too.